Back Pain – Pinpoint Laser Therapy | Laser Therapy Available in East York using the BioFlex Laser System! 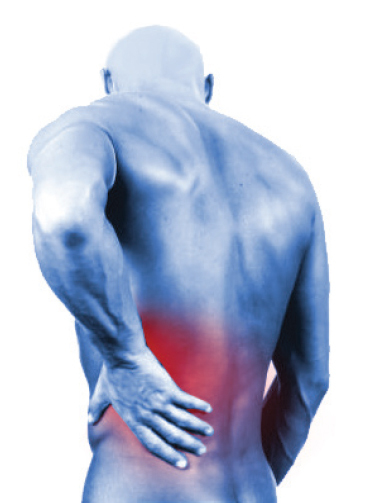 …live with Chronic Low Back Pain, according to a study of over 300 Canadian adults, by Eli Lilly Canada. …have an established diagnosis have never received effective treatment to resolve the condition and eliminate the pain. …with chronic lower back pain report serious disruption in sleeping patterns and the ability to enjoy a normal lifestyle. …Canadians $10 billion on an annual basis, according to Nanos research (SES) “Canadian Pain Survey” conducted in 2007. How Does Back Pain Effect You? Current non-surgical treatments include analgesics, anti-inflammatories, bed rest, spinal manipulation, massage and physical therapy. These can mask or only temporarily relieve pain, leaving many to seek alternate safe and lasting treatments. This technology provides a safe and highly effective treatment. It relieves pain, increases joint mobility and most important of all, reduces inflammation. In addition, it regenerates the cartilaginous lining of the joints. In over 3,000 scientific studies, no adverse effects have been reported with the utilization of Laser Therapy. Clearly this characterizes it as a non-invasive, non-surgical, non-toxic method of treating spinal problems. The BioFlex Laser Therapy Solution has helped thousands of Canadians eliminate back pain, restore normal activity levels and substantially increase their quality of life.